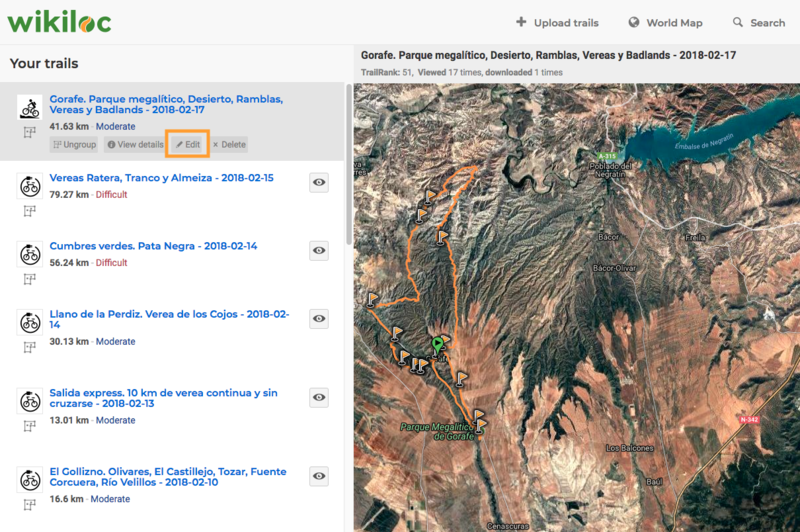 Have you uploaded a trail and you would like to modify some details? While logged in in the Wikiloc website, if you go to "your profile" and "your trails", a list with your trails will appear on the left. If you move the cursor over a trail box, the options "modify" and "delete" will show. Add photos to your trails or Waypoints. Editing the trail from a GPS file editor.